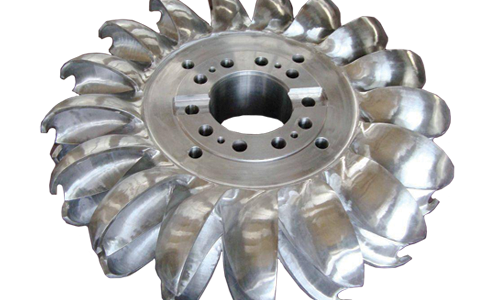 Pelton turbines are designed for high head applications. These machines are impulse turbines using the kinetic energy of water impinging on the runner bucket to turn the generator shaft. Pelton turbines can handle wide flow variations down to 10% of nominal flow. Their flat efficiency curves yield excellent performance over this wide operating range.